Cardiovascular diseases(CVD) are the main cause of mortality in almost all European Union countries, accounting for +/-40 % of all deaths in the EU.CVD cover a range of diseases related to the circulation, like ischemic heart disease (heart attack) and cerebro-vascular disease (stroke). Ischemic heart disease is caused by accumulation of fatty deposits lining in the internal wall of the coronary artery and so restricting blood flow to the heart muscle. 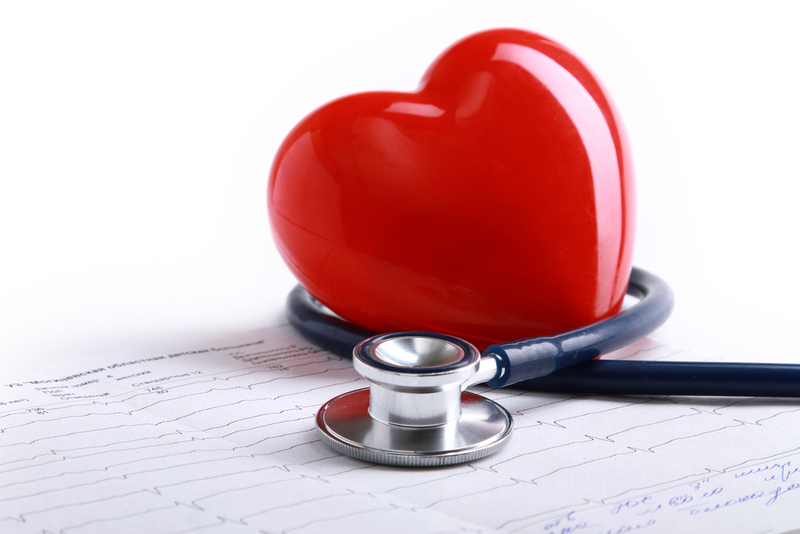 Early recognition of heart disease could save thousands of lives each year. Dyspnea: is a medical term for shortness of breath. The abrupt onset of dyspnea is often due to heart failure, whereas chronic shortness of breath is more likely to be a symptom of coronary artery disease or valvular heart disease. Palpitations: The heart of an average person beats about 500.000 times per week and ordinarily people are unaware of their heartbeat. Palpitation is the awareness of one’s heartbeat and is often quite disturbing when it appears. Palpitations occur as irregular or very rapid heartbeats, known as arrhythmias. Syncope: is simply a loss of consciousness. The most common cardiac cause of syncope is an irregular heartbeat or arrhythmia. Oedema: is a swelling or puffiness of tissue. The swelling is due to retention of water or lymph fluid in the cells of the tissue. It is a common sign of heart disease, indicating a diminishing of pumping of the right side of the heart. Cyanosis: is the bluish discoloration of the skin and mucous membranes. It is caused by too little oxygenated blood flow through surface tissues. Fatigue: Persons suffering from fatigue will start the day with a relatively normal energy level, then become increasingly tired through the day to the point of exhaustion. This is because of the heart muscle has become weakened and lost its ability to pump enough blood and oxygen for the body to function normally. Angina: is the primary symptom of coronary artery disease. It consists of chest pain caused by myocardial ischemia, a condition in which the amount of oxygen the heart muscle requires exceeds the amount it receives. One can differentiate between stable and unstable angina. Stable angina: the appearance of the chest pain after physical effort or stress. Unstable angina: the frequency and severity of chest pain increases, and attacks may occur during rest or may be provoked by less effort than usual. The underlying cause of a decreasing the supply of oxygenated blood is a progressive narrowing of the open channels (the interior lumens) of the coronary arteries, due to arterioscleroses. Atherosclerosis is a condition in which scattered lesions, plaques or atheromas, appear on the inner wall of the coronary artery. An acute Myocardial infarction (AMI) occurs in the myocardium when there is a marked decrease in the oxygen supply to an area of the muscle causing a zone of dead or dying tissue. Sudden death results from the sudden, abrupt loss of heart function. Over the past thirty years, the ability to diagnose heart disease has improved dramatically, largely because of development of new techniques: electrocardiography (ECG), exercise stress testing, radioisotope studies, echocardiography, and cardiac catheterisation. Another important diagnostic tool is the determination of the serum cardiac markers. After an acute myocardial infarction, an increase of Creatinkinase can be recognised within three hours and remains ele-vated for about three days. Myoglobin increases within two hours after the event, reaching peak levels at 6 to 9 hours. High Troponin levels can be measured after 4-8 hours. Myoglobin returns to the normal range by 24 hours but serum concentrations for Troponin are high up to 7 days. Creatinkinase or CK is an enzyme which catalyses the reversible transfer of the phosphate group from creatine phosphate to Mg-ADP and can be found in cardiac and skeletal muscle. Cytosol creatinkinase is synthesised by different genes. The respectively gene products are CK-M (muscle type) and CK-B (brain type). Serum creatinkinase is found as dimeric isoenzymes: CK-BB, CK-MB and CK-MM. On basis of their organ distribution CK-MM is referred as muscle type, CK-BB as brain type and CK-MB as myocardial type. One major advantage of using CK-MB as a cardiac marker is the ability to detect re-infarction, owing to the fact that it returns to normal levels within 2 to 3 days after an initial myocardial infarction. Although the detection of CK-MB can be done by CK enzyme activity or mass, it has been proven that the CK-MB-mass measurement, using specific antibodies is more reliable and sensitive. Moreover conversion from the units, measured by enzymatic activity to mass is not possible as the mass to activity ratio does not remain constant in the course of myocardial infarction and can fluctuate within a range of 1 to 4. Myoglobin is an oxygen-binding heme protein of low molecular weight (17,800 kD) that is found in both cardiac and skeletal muscles. Myoglobin is released from the muscle cells and appears in the circulation after injury of the skeletal muscle or myocardium. The rapid elevation of Myoglobin in the circulation (2-3 hours after onset of symptoms) has lead to its usefulness for the early diagnosis and monitoring of AMI. Troponin, together with tropomyosin, belongs to the group of structural proteins involved in the regulation of striated and cardiac muscle contraction. Troponin exists as a complex of three distinct proteins: Troponin T (TnT), Troponin C (TnC), and Troponin I (TnI), each of which performs a specific function. TnI, a protein of 24 kDa, is the inhibitory subunit of the Troponin complex, which regulates the calcium-modulated interaction of actin and myosin in the striated muscle. TnI inhibits actomyosin ATPase activity, and this inhibition is reversed by the addition of Ca2+. TnC is a Ca2+ binding protein containing 4 binding sites. TnI and TnC tightly interact with each other and the strength of their interaction is strongly depending on the saturation of the Ca2+ sites of TnC. TnT provides proper fixation of TnC and TnI on the actin-tropomyosin filament. The binding interaction of TnT is not as tight as the TnI-TnC complex. The fact that Troponin I and T in the myocard differ strongly from the corresponding molecule in the skeletal muscle these two are highly useful as cardiac markers. The myocardial forms are called cardiac troponins (cTnI and cTnT). cTnI is preferred as a cardiac marker for persons with kidney disease or myopathy, because TnT determination may cause false positives these patients. Recent studies have shown that the majority of the cardiac Troponin I in blood is present as a binary complex of cTnI- TnC, with +/- 3 % present as a free molecule. For a correct diagnosis of myocard damage, the cTnI tests must detect in an equimolar way the free and complexed cTnI. The cTnI molecule contains three phosphorylation sites. Depending on the extent of phosphorylation, distinct forms of the molecule can co-exist. In blood it has been shown that about 50% of the cTnI is phosphorylated. It is thus important to use monoclonal antibodies whose epitopes are distant from the phosphorylation sites, so the determination of cTnI is not influenced by the degree of phosphorylation. Similarly, two cysteine residues have been shown to exist in either the reduced or oxidized forms, the latter producing an intra-chain disulphide bond. Necrosis of cardiac tissue caused by infarction is accompanied by the liberation of proteolytic enzymes from lysosomes. Since cTnI is highly susceptible to proteolytic enzymes, necrosis can be expected to induce substantial degradation of cTnI. This means that depending on the conditions (time after onset of AMI, size of the infarction zone, rate of perfusion) the blood of AMI patients will contain variable quantities of intact cTnI and its proteolytic fragments, which can circulate in free or complexed forms. 20-40 hr after AMI onset, the predominant fraction of cTnI is not intact cTnI but a heterogeneous mixture of fragments and their complexes with TnC. Monoclonal antibodies differ in their affinities to recognize the different fragments/ intact cTnI. Homocysteine is a non essential amino acid. Hcy is formed during the breakdown of proteins and especially from methionine via different enzymatic pathways. Metabolism of Hcy depends on several B vitamins including folate and vitamin B12. An imbalance between the Hcy formation and removal will lead to change in plasma concentration of Hcy. Hcy exist in different forms in the serum. Total homocysteine is defined as the sum of all homocysteine forms in plasma/serum, including free and protein-bound forms. Homocystinuria: is caused by rare inborn errors of metabolism leading to urinary excretion of large amounts of homocystine combined with severely increased plasma Hcy concentrations, usually >100 µmol/L., These patients have a high risk of premature, frequently fatal, thromboembolic events. Sensitive marker of folate and vitamin B12 deficiency: Folate deficiency occurs at all ages and is usually a result of poor diet, malabsorption, alcoholism, or use of certain drugs. It is common during pregnancy. Vit B12 deficiency is most often observed in the elderly, where it is nearly always due to malabsorption in most cases due to lack of intrinsic factor, his form of anemia is called pernicious anemia. Also newborns can have low vit B12. Hcy can be used in the assessment of vitamin deficiency because these Hcy begins to increase already at low-normal concentrations of theses vitamins. In this way Hcy can be used to identify elderly with vit B12 deficiency, when the vit B12 concentation is in the grey zone. Also Hcy will usually return to normal within 1 or 2 weeks after appropriate vitamin treatment and can be used as a follow up marker of vitamin treatment. Hcy is an independent risk factor for cardiovascular disease(CVD): Even when the Hcy concentration is within the normal ranges and increase with 5 µmol/L of Hcy will double the risk on CVD. In high-risk populations, increased Hcy is a prognostic marker for an increased risk of new CVD events or mortality. Renal failure: There is an inverse relationship between the Hcy concentration in blood and the renal function. Also in patient with increased Hcy due to renal failure folate intake will decrease the Hcy. Also in theses patient the Hcy concentration is a risk factor for CVD. Pregnancy complication and birth defects: Increased Hcy is associated with an increased risk of a placental vasculopathy, which in turn is related to preeclampsia, recurrent early pregnancy loss, premature delivery, low birth weight, and placental abruption or infarction. In contrast to atrial natriuretic peptides (ANP/NT-proANP), which originate mainly from atrial tissue, BNP related peptides are produced mainly from ventricular myocytes. BNP is produced and secreted in response to excessive stretching of cardiomyocytes (heart muscle cells) This can be due to the fact that the heart muscle does not contract or relax effectively or both and so reducing the performance of the heart as a pump. BNP like other cardiac natriuretic peptides have potent diuretic, natriuretic, and vascular smooth muscle–relaxing effects and the effect of reducing the blood volume and pressure BNP provides an accurate test for the diagnosis and prognosis of congestive heart failure (CHF) and for cardiovascular damage follow up. CHF is a complex of signs and symptoms resulting from inadequate cardiac pump function. The main symptoms of CHF are fatigue, shortness of breath and fluid retention, especially in the legs and lungs. It has been shown that BNP is a better diagnostic parameter than the measurement of the left ventricular ejection fraction, which used to be the reference standard for the diagnosis of heart failure. The clinical outcome of BNP or NT-pro BNP is the same. During stretching of the cardiomyocytes, pro-BNP, BNP and NT-pro BNP are present in the blood and cross-react due to the presence of the same epitopes. D-Dimer is a by-product of the breakdown of fibrin (fibrous protein making up blood clots, composed of 2 ‘D’ and 1 ‘E’ domains). The D-Dimer concentration is an indicator for the fibrinolytic activity of the plasmin-enzyme in the vascular system. Determine if further testing is necessary to help diagnose diseases and conditions that cause hypercoagulability, a tendency to clot inappropriately. Help diagnose Disseminated Intravascular Coagulation (DIC***) and to monitor the effectiveness of its treatment.